In the last week and a half, I have watched two anime series. This is something that may seem easy to AniTAYers, but it’s not something I easily accomplished. And yet, I’m so happy I did. I fed my Dark Side, and hopefully it also helps keep it away. It’s no surprise that several of us suffer from depression. We’ve written about it before. Personally, I’m finding that the “solution” to my depression is always shifting. Sometimes the answer is games. Sometimes it’s singing. This time is was literally watching anime. 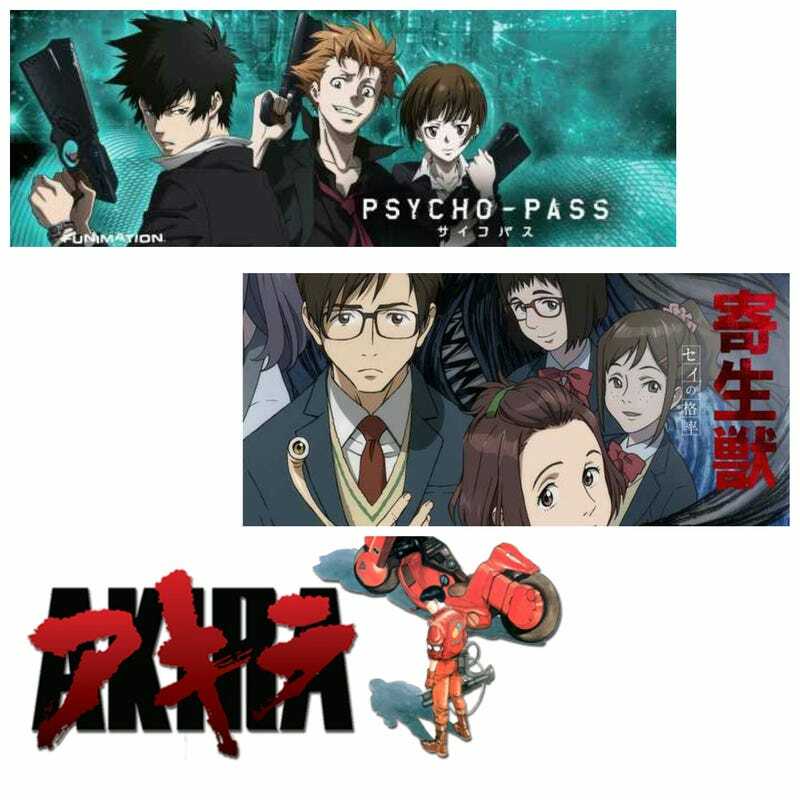 Parasyte and Psycho-Pass (season 1) have been my best friends these past few days. Two dark anime. Two anime about blood, violence, and death. Both about worlds that drag me in, while scaring me. I don’t mean literally scared (although Parasyte sometimes...), but emotionally scared. Mentally scared. Thinking to myself that if I lived in either world, I’d be dead. For my physical weaknesses in Parasyte. Or my mental weaknesses in Psycho-Pass. Thinking the reasons I was loving both anime were that they would destroy me. The deeper I delved into the darkness of both shows, the lighter I felt when I pulled away. When I stopped watching, I could somehow detach from the darkness in myself. I started feeling better. As I began writing this post, I started to wonder why something dark would be good for me, and somehow I ended up at the very beginning of my anime experiences. I had a sheltered childhood. My mother was extremely overprotective, and living in Nowhere, PA by nothing of interest, let her keep me even more in the dark. Then one Saturday morning I stumbled upon Akira on the Scy-Fy (Sci-Fi) Channel. Somehow my mother let me watch it, because it was a cartoon and cartoons are harmless. Needless to say, Akira changed my life. And calling Akira “dark” is a huge understatement. I won’t spoil anything (But seriously, Akira is anime. Go watch it! ), but as a depressed 13-year-old that movie gave me hope. Mostly in the “Holy crap! My life isn’t that bad!” way, but also in discovering anime: a hobby that has now lasted over 20 years. All this time later, Parasyte and Psycho-Pass gave me the same feelings. Discovering new worlds filled with horrible things. Seeing people and places destroyed. And even though everything didn’t end up “happily ever after,” it was still ok.
And I’m ok. The darkness gave way to some light. I fed my dark side and won.